Distant supervision relation extraction is a promising approach to find new relation instances from large text corpora. Most previous works employ the top 1 strategy, i.e., predicting the relation of a sentence with the highest confidence score, which is not always the optimal solution. To improve distant supervision relation extraction, this work applies the best from top k strategy to explore the possibility of relations with lower confidence scores. We approach the best from top k strategy using a deep reinforcement learning framework, where the model learns to select the optimal relation among the top k candidates for better predictions. Specifically, we employ a deep Q-network, trained to optimize a reward function that reflects the extraction performance under distant supervision. 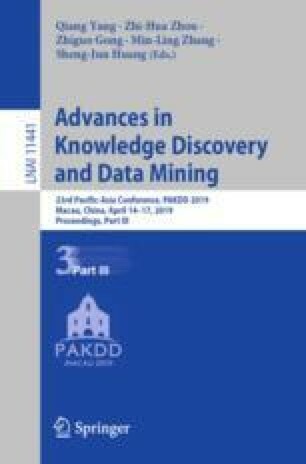 The experiments on three public datasets - of news articles, Wikipedia and biomedical papers - demonstrate that the proposed strategy improves the performance of traditional state-of-the-art relation extractors significantly. We achieve an improvement of 5.13% in average F\(_1\)-score over four competitive baselines. This work is partially funded by the National Science Foundation of China under Grant 61170165, Grant 61702279, Grant 61602260, and Grant 61502095.